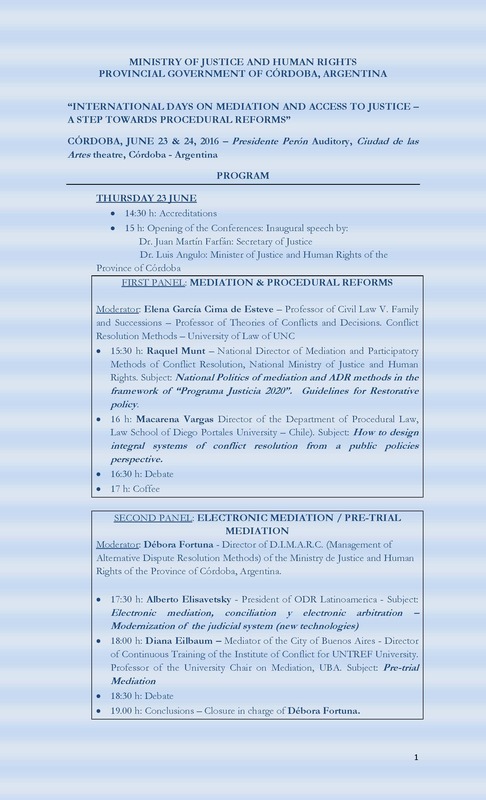 Alberto Elisavetsky will speak about ODR in the International Days on Mediation and Access to Justice – A step towards Procedural Reforms, organized by the Ministry of Justice and Human Rights of the Provincial Government of Córdoba, Argentina. 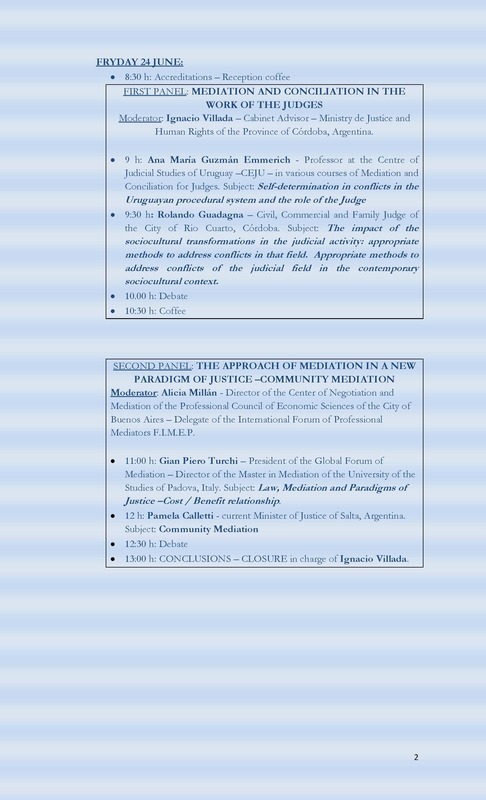 The event will take place at the Provincial University of Córdoba in Argentina. It’ll gather specialists and academics from the western world to expose and debate different approaches reagarding ADR/ODR Methods and Procedural Reforms.